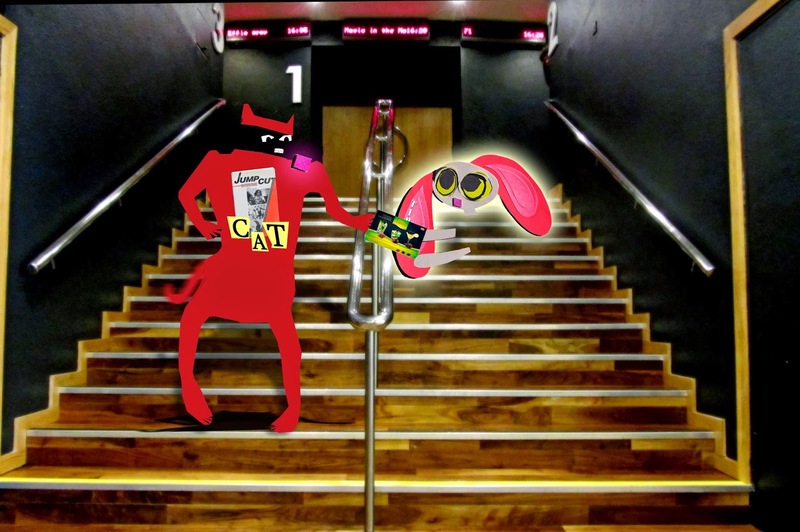 Skratch escorted Tipsy carefully from the auditorium when he heard the sound of a kiss. He momentarily thought of the Wabbit's instructions and fumbled quickly in his fur for Tipsy's gift. That's when it happened. Two disembodied paws took the chocolate liqueurs. "Oh thank you Skratch," said Tipsy's head, "that was very thoughtful." Skratch was lost in Tipsy's swirling eyes as her lips detached and floated towards him. "What time zone is it?" asked Tipsy's lips. Skratch nearly jumped, but he remained calm and tried to think clearly. "It's CEST." "My goodness that's late," said the lips, "but not too late for you to take me for a little dwink." Tipsy's lips returned to their proper place while Skratch wondered which establishment would permit entry to a disembodied head. "Aren't you working soon?" Tipsy's lips smiled. "I don't have to get up until November." Skratch knew that was a military time zone and now his eyes narrowed. But he saw no option but to go along with things until he could get to the bottom of the problem. "Let's head out then," he chirped. Tipsy proffered a paw and he hooked his paw around it and proceeded downstairs to the exit. Tipsy's lips floated around a bit. "It's nice to have someone to take me to the movies. Now you can tell me about how to read a film." Skratch realised he was becoming accustomed to talking to a disembodied head. "What movie would you like to see next?" Tipsy's lips fluttered close. "The Time Machine."